This thing conjured up memes of C3PO, human trophies, and Power Rangers. 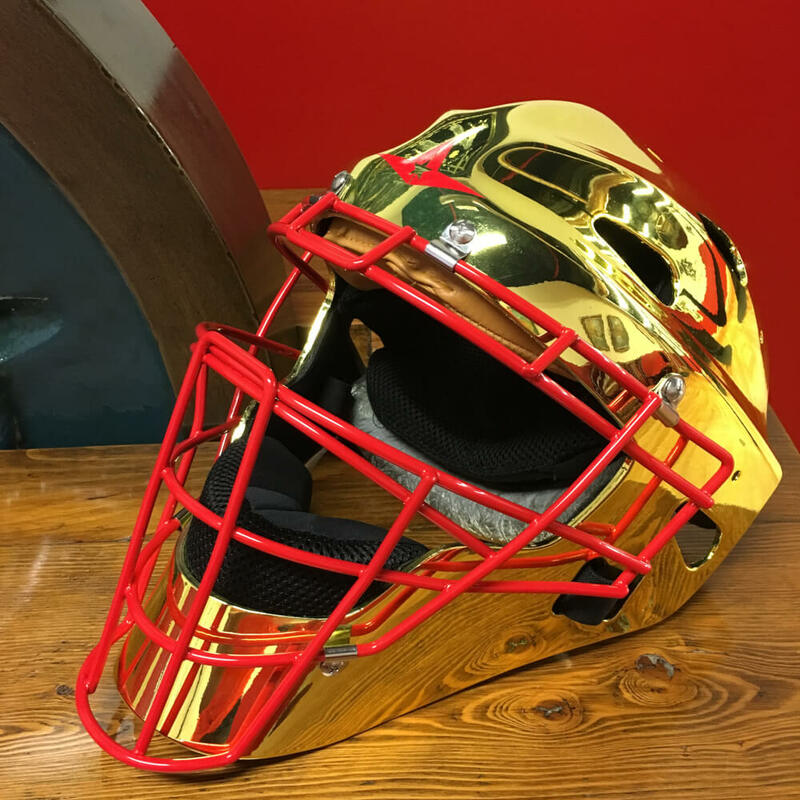 Blindingly gold, this is a shiny version of the MVP2000, the style that Yadi has used since we started WPW. Its closest descendant is the MVP2300, available at the link. 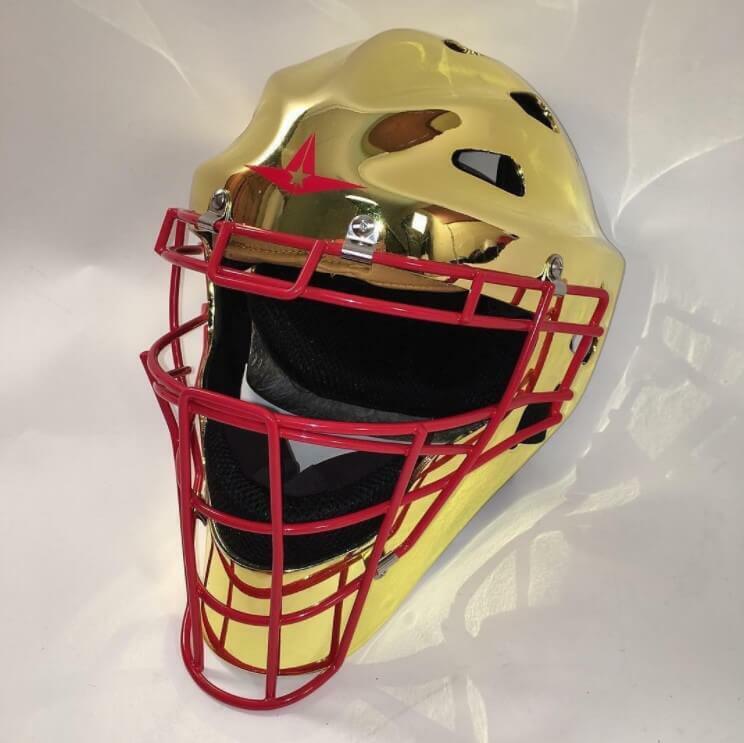 Categories: Gear, St. Louis Cardinals, Yadier Molina, Catcher, Catcher's Helmet.